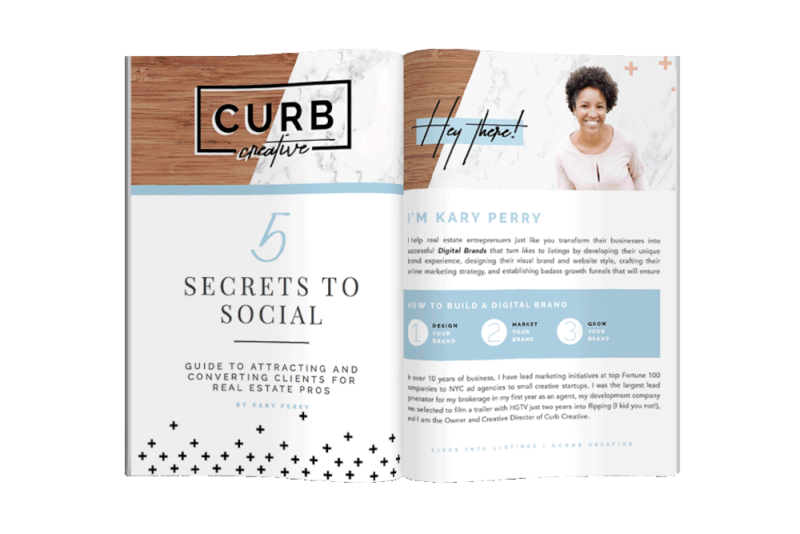 I'm Kary Perry the owner of Curb Creative. We are a branding and digital marketing studio dedicated to providing the best resources to help real estate pros brand, market and grow their online business in a badass way. 5-week online courses crafted to help you not only get more followers, create more engagement, but also turn all that love into listings. KPTV Video Podcast designed to help real estate pros take immediate action on the most important strategies for growing your digital brand. The Agentpreneur Blog includes posts to teach you how to leverage digital marketing to generate more leads, more listings, and a lot more loot. Get your hands on my best free resources to help you target your ideal audience, attract the right followers, convert those followers into paying clients.